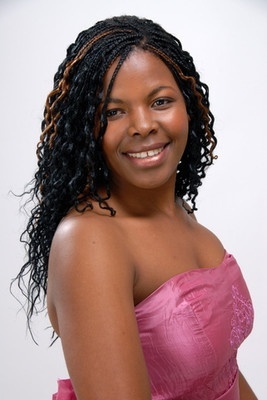 South-African soprano Nozuko Teto was born in Bizana, Eastern Cape. She obtained her Bachelor of Music from the University of KwaZulu-Natal as a student of Colleen Philp. In 2010, she received her Artist Diploma from the University of Cape Town as a student of Kamal Khan and Virginia Davids. She recently appeared at Ireland's famous Wexford Festival in Frederick Delius’ Koanga. The following is quote from Mark Pullinger’s review of October 22. “Soft as the sound of silver torrents playing on the rocks” is how Koanga describes Palmyra’s voice and that’s a pretty accurate assessment of the qualities displayed by South African soprano Nozuko Teto. She has a glorious, full lyric soprano which gleams throughout its range. Her Act II arioso The hour is near, when I to him my soul surrender was powerfully delivered, her diction crystal clear. ...Nozuko Teto needs far more than an occasional outing. Let’s hope some casting agents were afoot among the Wexford audience."